When Walter Hartright encounters a solitary, terrified, beautiful woman dressed in white on a moonlit night in London, he feels impelled to solve the mystery of her distress. 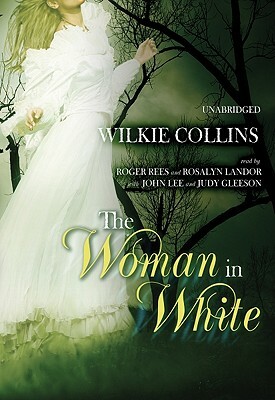 Full of secrets, locked rooms, lost memories, and surprise revelations, The Woman in White features heroine Marian Halcombe and drawing-master Walter Hartright as sleuthing partners pitted against the diabolical Count Fosco and Sir Percival Glyde. This gothic psychological thriller, a mesmerizing tale of murder, intrigue, madness, and mistaken identity, has gripped the imaginations of readers since its first publication in 1860. The breathtaking tension of Collins' narrative created a new literary genre of suspense fiction, which profoundly shaped the course of English popular writing.